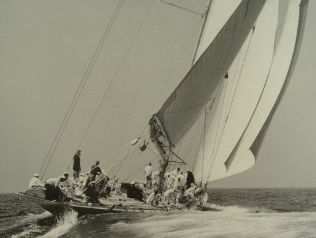 Relish was designed by Starling Burgess and is one of 99 Atlantic Class boats built by Abeking and Rasmussen in Germany in 1929/1930. 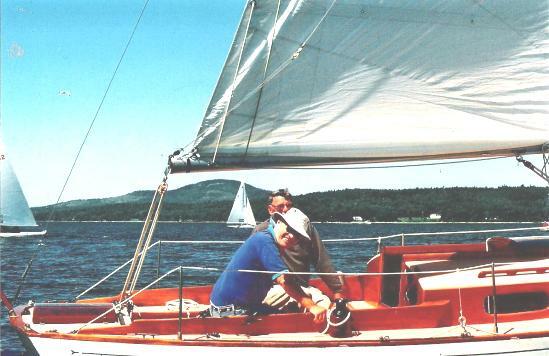 In 1953, 12 meter skipper Briggs Cunningham donated $5000, and with Atlantic #27 Rumour used as a plug, molds were built so that these boats could be converted from wood to fiberglass. Provided the external lead keel was retained, the boats kept their original sail/hull number. Cape Cod Shipbuilders in Wareham, MA made the molds. A 91 was reborn there in 1962. 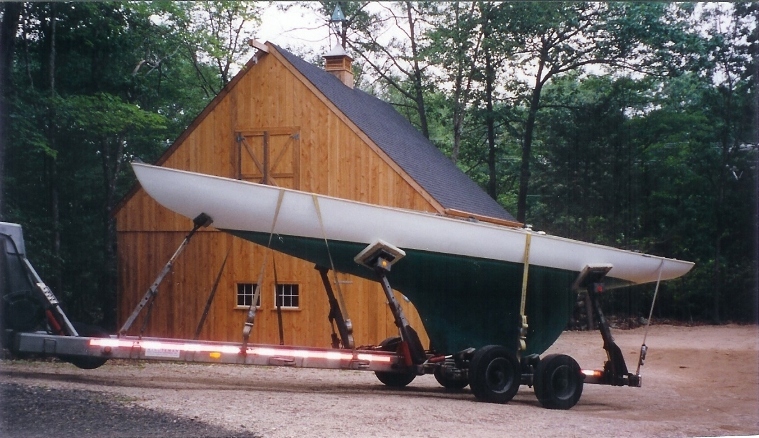 Your webmaster owned and raced this boat for nearly 20 years, selling her in 1999. She is now up in Blue Hill. Maine. 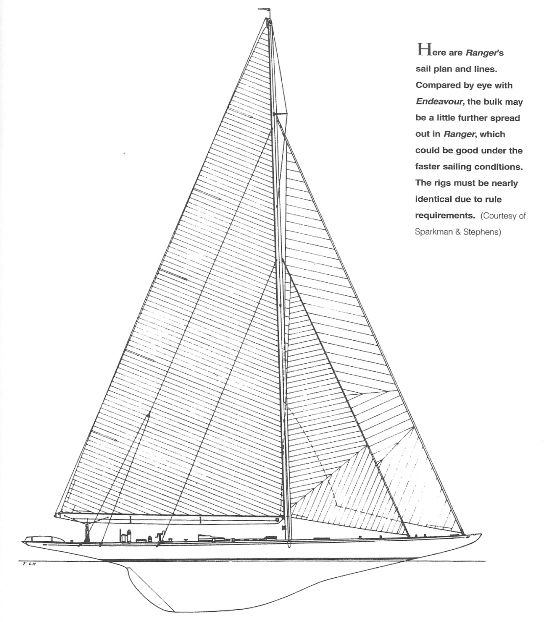 The Atlantic is 30'6" LOA, 6'6" Beam, 4'9" Draft, Sail Area 367 sq ft, All up weight about 5000 lbs, ballast 2835 lbs. Despite her large main (no reef points) the Atlantic is easy to sail in a breeze and points very high. She's fast and can tack on a dime. We sail these boats into their slips at Niantic Bay YC (NBYC), Niantic, CT dropping the main as we came in, wiggling as necessary to kill speed. After 20 plus years of trying I never did hit that rock breakwater 3 ft from her bow, although I will admit we did use our panic stop line once or twice. Here is Relish sailing alone in Niantic Bay. Note her small jib - I use one of her old ones as a blade sail on Marionette. 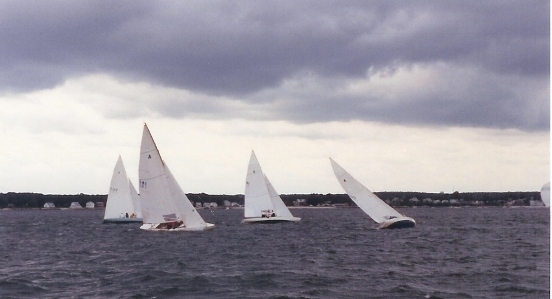 NBYC was/is a very competitive place for an Atlantic sailor - we have 5 active national champions including a guy that won it 17 times in nearly 50 years of racing these boats, plus a few other guys that are hard to beat. The following picture was a memorable day for Relish, here 2nd rounding the final leeward mark (which is just out of the picture on the left) and coming on to win after an exciting tactical beat. In the picture one national champ is on starboard to weather taking a hard gust. Relish is to leeward (2nd boat from right) covering another national champ (green hull) while a very dangerous guy on port tack is breaking away to the right corner. Typical Atlantic racing, win or lose. September 4, 2008. 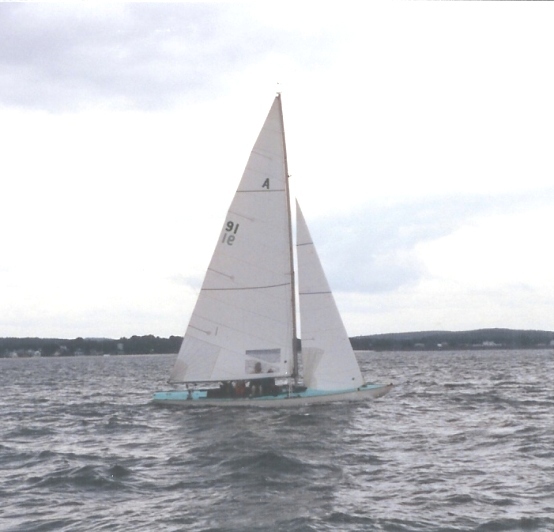 In late June, Marionette, with her own 2008 racing program successfully completed (click here to check that out), sailed for downeast Maine stopping in several harbors along the way to meet up with Dolphin 24 owners. 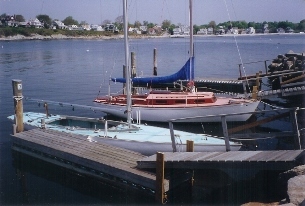 In Pocasset, Massachusettes we met up with Fred Balfour and his Tern , and in Portland, Maine with Fred Goguen who owns Thankful. In Bucks Harbor, Maine we met with Jim Kurt and his The Rachael K, and in Bass Harbor, Maine with Gary DeLong who owns Savili. Hopefully, sometime this winter, highlights of this cruise will become another Stories selection. Webmaster Note: April 9, 2012: Click here for one highlight. 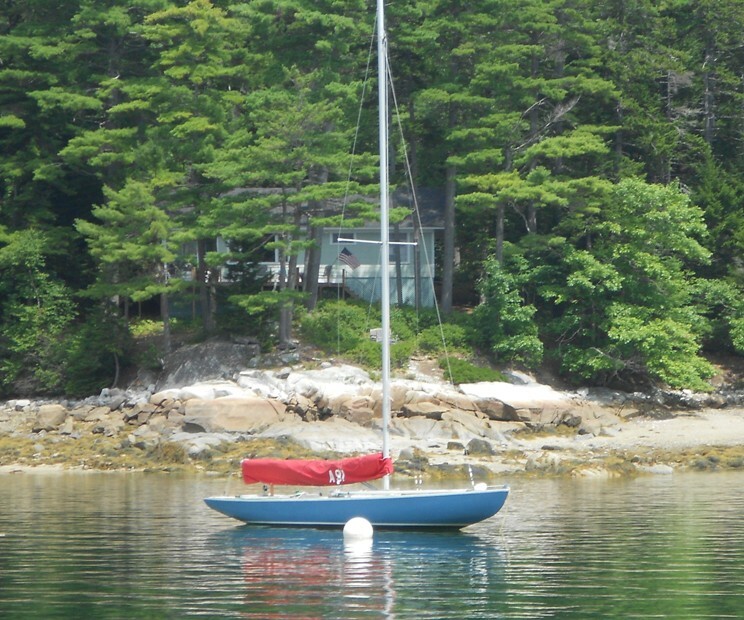 Our final destination, reached in early August was Blue Hill, Maine, the site of the Atlantic Class 2008 National Championships being held during the week of August 17, hosted by Kollegewidwok YC. Thirty four boats were entered including 15 that had to be trailered from clubs on Long Island Sound in Connecticut. One of the local entries was my old #91, Relish, here at the weather mark, sporting her new paint job, and skippered by regatta Chairman Tom Richardson. Your webmaster and Marionette reconnected in one of the most beatiful sailing venues anywhere. That's Cadillac Mountain on Mt Desert Island (Bar Harbor) just peeking over the horizon between boats. August 10, 2014 - Marionette is in Blue Hill, Maine for a few weeks summer vacation, and on her way into the harbor she passed her old friend A-91 - she's had a face lift and a new dress! !